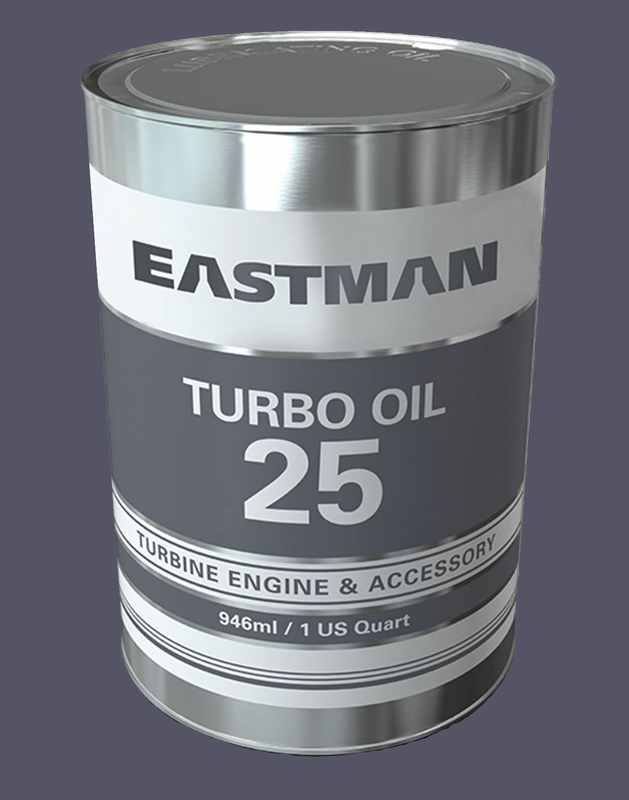 Eastman Turbo Oil 25 is a high load-carrying gas turbine oil, for the most demanding gear applications. Helicopter operators in both military and private sectors have shown a preference for the DOD-PRF-85734 oils, like Eastman Turbo Oil 25, because of the wear protection provided by its extreme pressure additive technology. Eastman Aviation Solutions is the only oil manufacturer to offer broadly used DOD-PRF-85734 and MIL-PRF-23699 HTS Class oils, to suit all your helicopter oil lubrication needs. Turbo Oil 25 is formulated from synthetic base stocks and advanced technology additives, to provide the combined thermal and oxidation stability properties of commercial Type II lubricants, with extreme pressure additives to maximise gear system reliability. Eastman Turbo Oil 25 is a DOD-PRF-85734, 5 cSt viscosity class oil, plus extreme pressure additives, for the demanding loads of helicopter gearboxes.